Fragrance: The Botanical Leaf fragrance captures the crisp, elemental spirit of natural leaves...gossamer and ephemeral yet strong, timeless and healing. 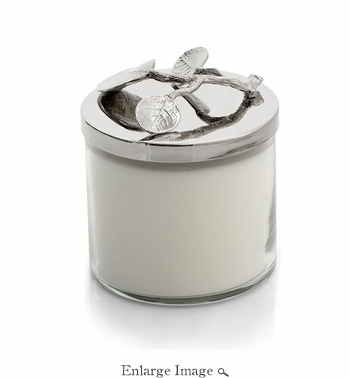 The refreshingly herbal scent draws upon the delicacy of the geranium flower with hints of mandarin and bergamot. A soothing mid-note of amber is accented with a drop of coriander and parsley leaves. Top accords of rose and lemon oil complete the structure.